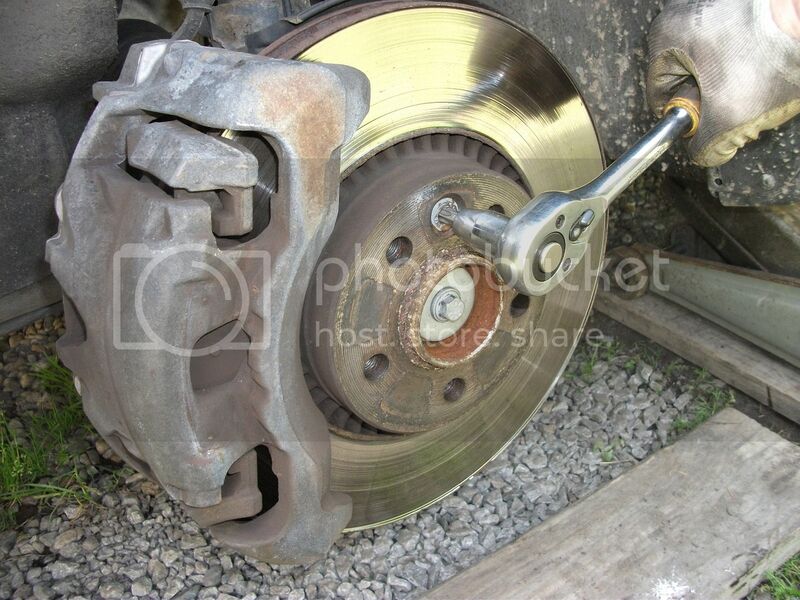 Guide to changing the front brake disc and pads. 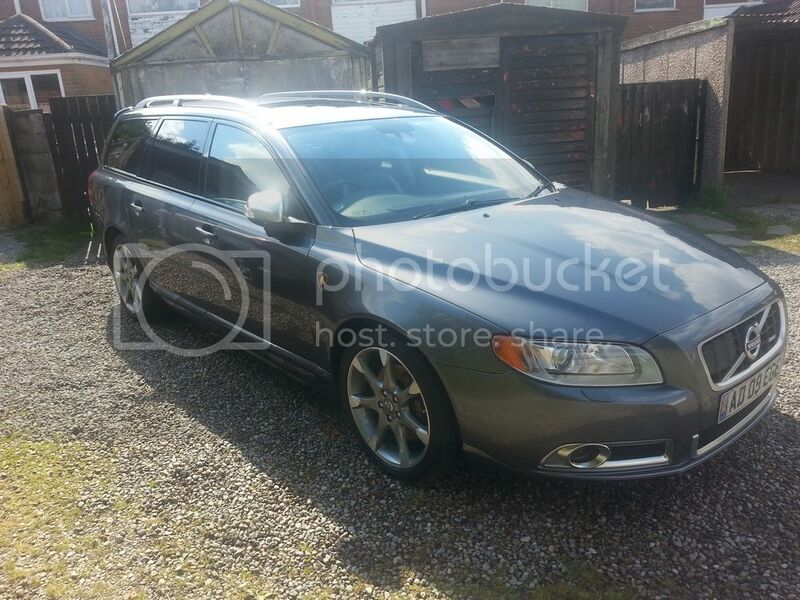 This is my guide to changing the front brake disc and pads on my MY09 V70 D5 R-Design. There are 2 different disc sizes for the ph3 S80/V70/XC70, 300mm and 316mm. Mine are the 316mm but the process should the same for both sizes. First thing first, chock the rear wheels, crack the road wheel nuts on the front wheel and then jack up the car and support on axle stands. You can now remove the front wheel and you should have this. 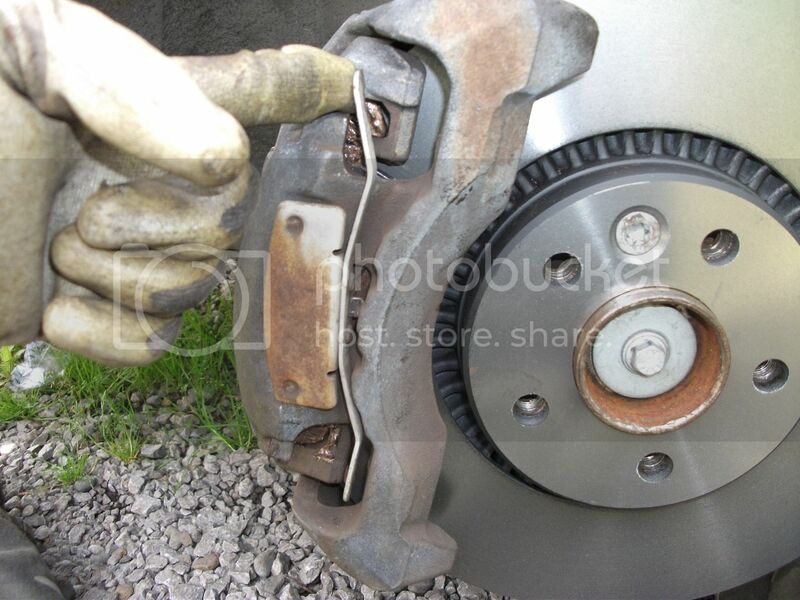 You need to remove the caliper spring shown here, either by levering it out from the top or the bottom. There is a small bolt holding the disc onto the hub, this needs removing and requires a T40 Torx bit. 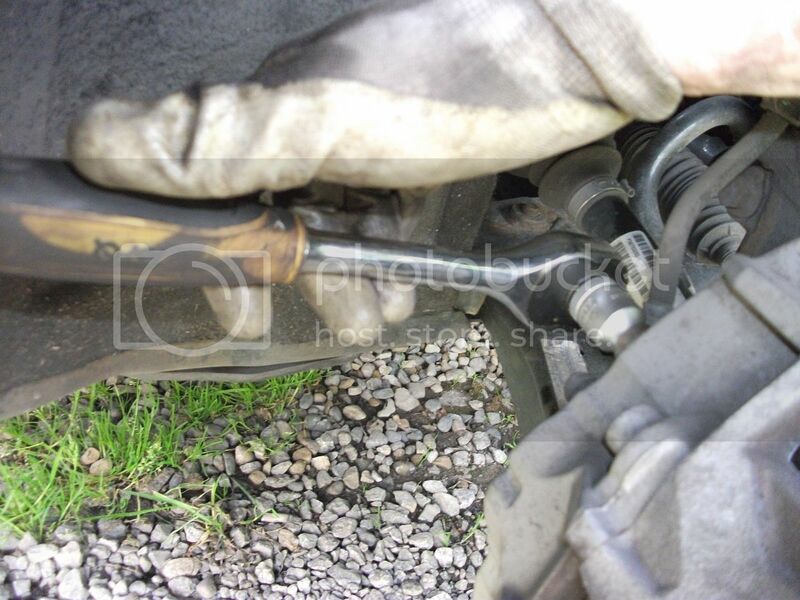 The brake pipe needs removing from its clip to aid access later. It just pulls outwards. On the back of the caliper are 2 plastic caps that cover the caliper slider bolts. These can be pried out using a flat blade screwdriver. Once the caps are removed you can use the 7mm allen key or hex bit to undo the caliper slider bolts. They don't come all the way out but just undo. 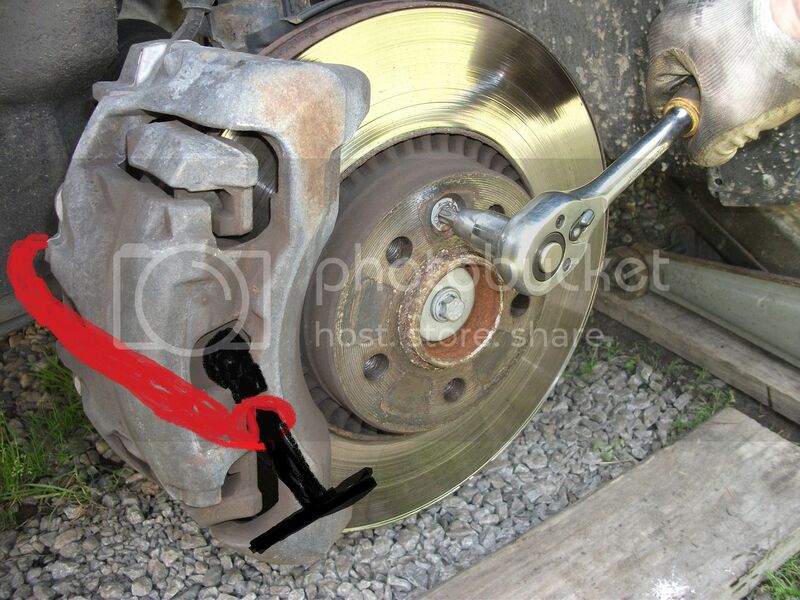 You should be able to jiggle the caliper a bit once the bolts are free of the caliper mount. 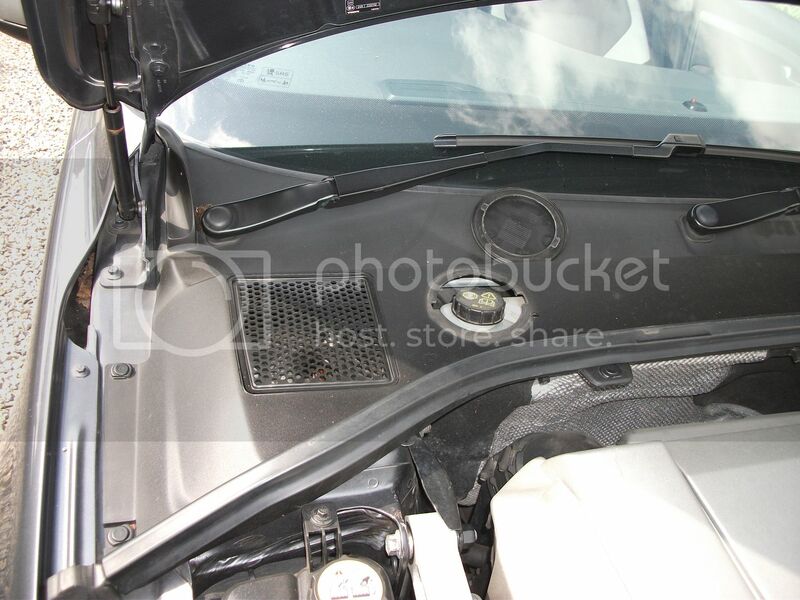 Open the bonnet and remove the brake reservoir cover and cap. 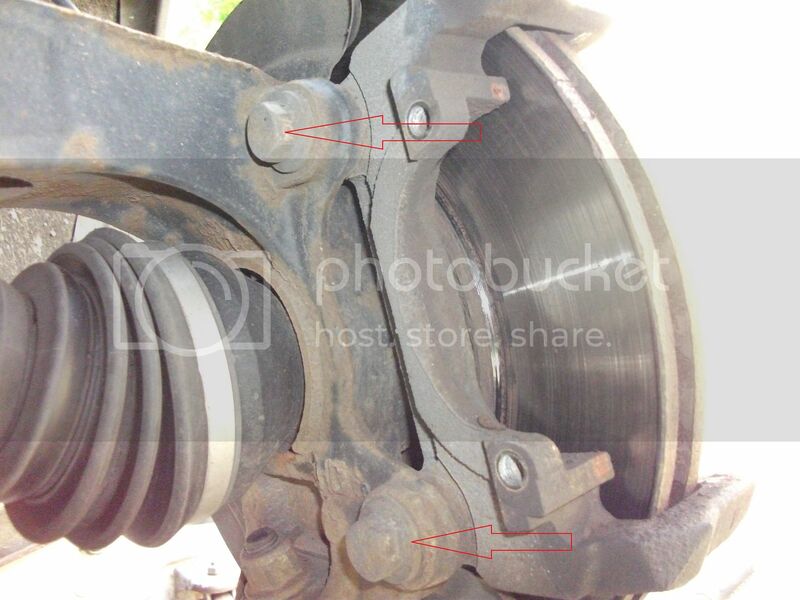 Now is the best time to push the piston back into caliper. 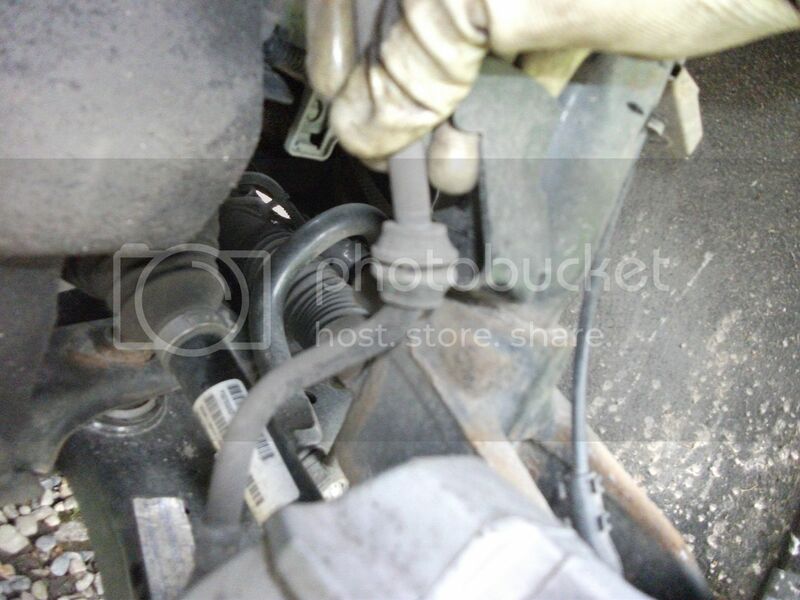 When doing this the brake fluid level in the reservoir will rise. 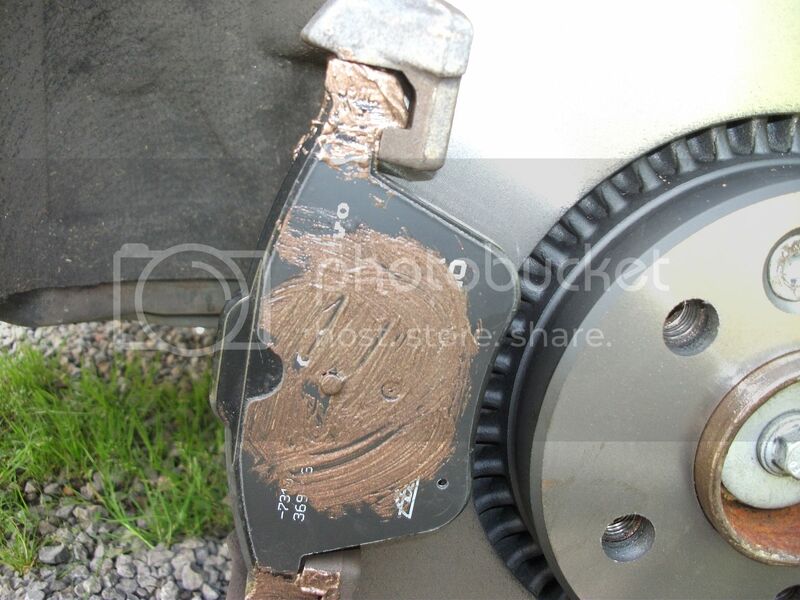 Brake fluid will damage your paintwork so you need to be careful here and remove fluid from the reservoir as it rises. A syringe will be best but paper towels are effective but just make sure you have a container nearby to put them in and be careful of drips. Now apologies, I should have really took a photo of the G-clamp in place but I forgot, so here is a crude drawing. Push the piston as far back as you can get it, remembering to keep an eye on the fluid level in the reservoir. You may need to repeat the process later on with the caliper off the mount but this makes the majority of the work easier. Always make sure you place an old pad over the piston when pushing it back in to protect it and make sure you don't twist it. When you have the piston pushed back in enough, you can remove the caliper so you can remove the mount. 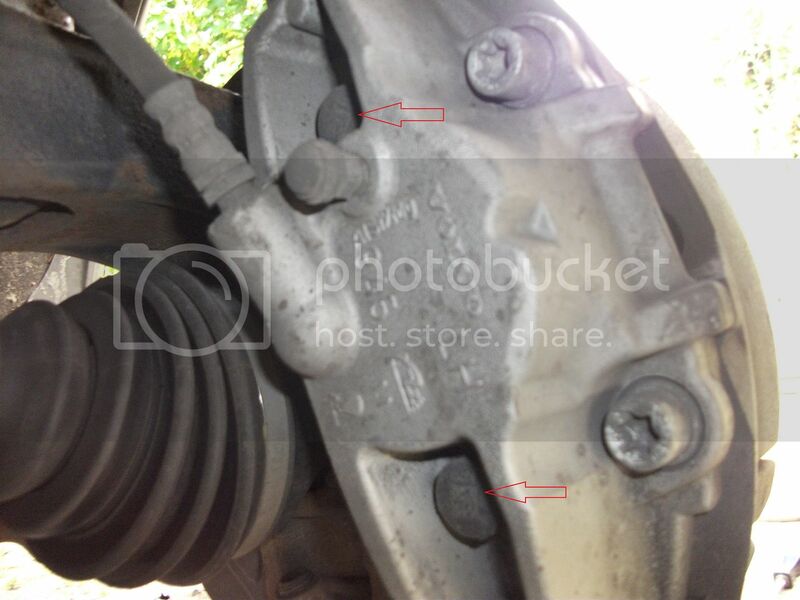 I've always found that cable tying the caliper to the suspension spring keeps it safely out of the way. You want to remember to never strain the hose connections at the brake pipes and the caliper so handle it with care. 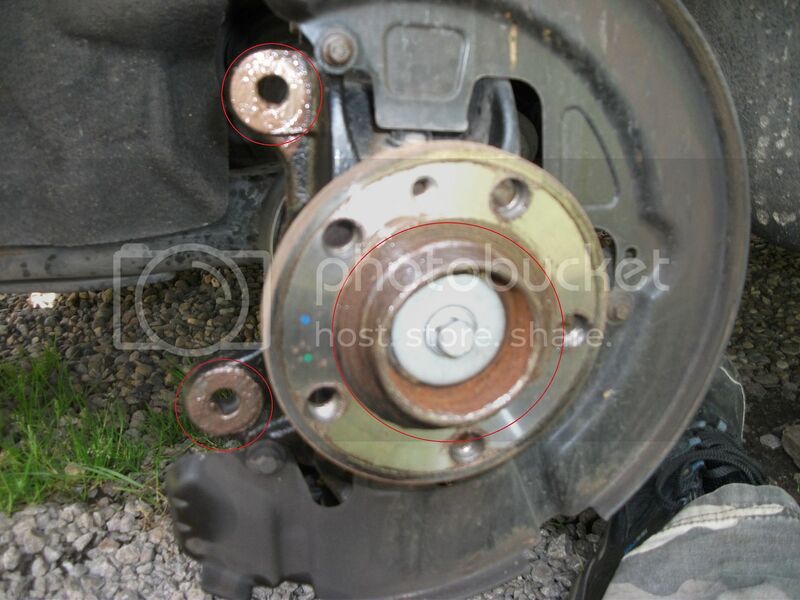 Now we need to remove the 2 bolts holding the caliper mount onto the hub. You need a 18m spanner or socket with wrench. These will be quite hard to undo so be prepared to use plenty of effort. Tip - With the spanner/wrench pointing towards the front of the car, for the drivers side your pushing down, passenger side pulling up to undo the bolts. With the mount and old disc removed you will have this. I prefer to apply copper ease to all the mating surfaces so they are easier to remove next time. NOTE, only the surfaces and not any threads as this will mean bolts not being torqued up correctly. Fit the new disc onto the hub and re-attach the the mount. New bolts are needed for this and the torque settings according to the Haynes manual is 200Nm. 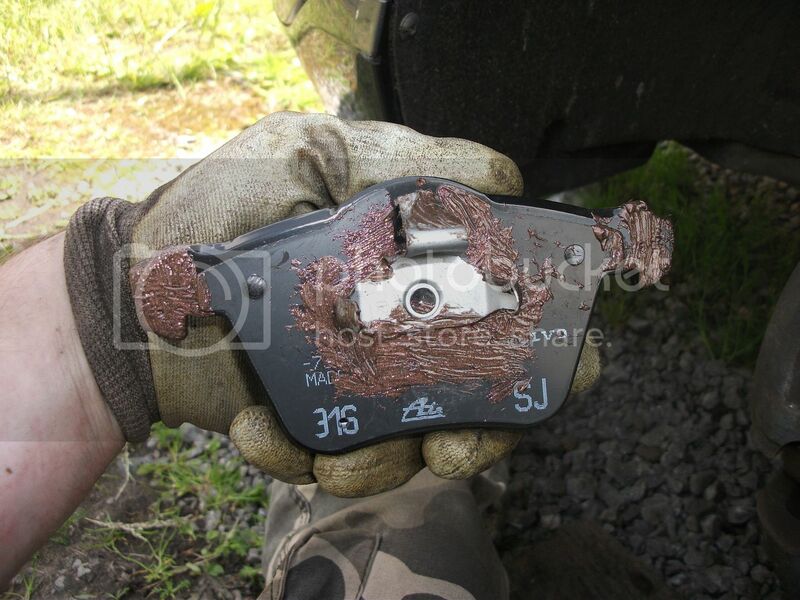 Again I have applied copper ease to where the pads touch the caliper and caliper mount. This can help avoid any squealing issues. 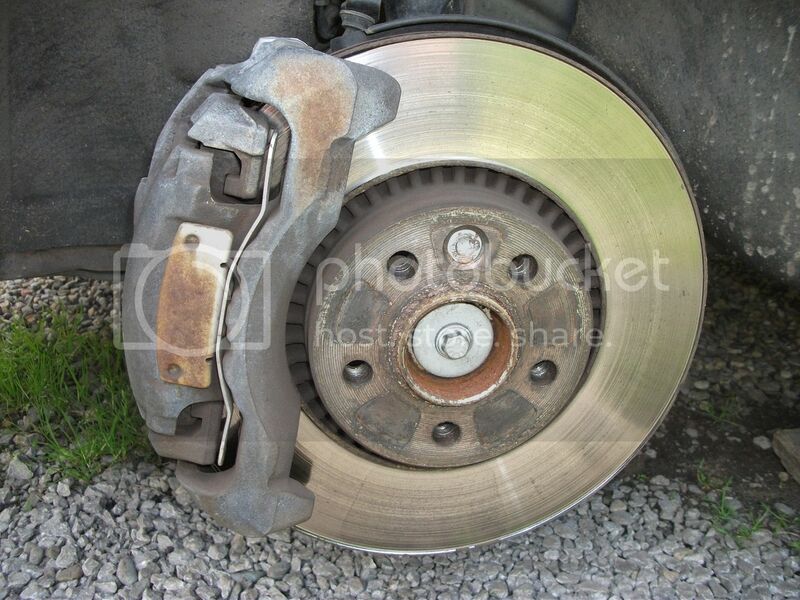 Place the pads in their places and replace the caliper. Redo the caliper slider bolts, again Haynes gives a torque setting of 35Nm. 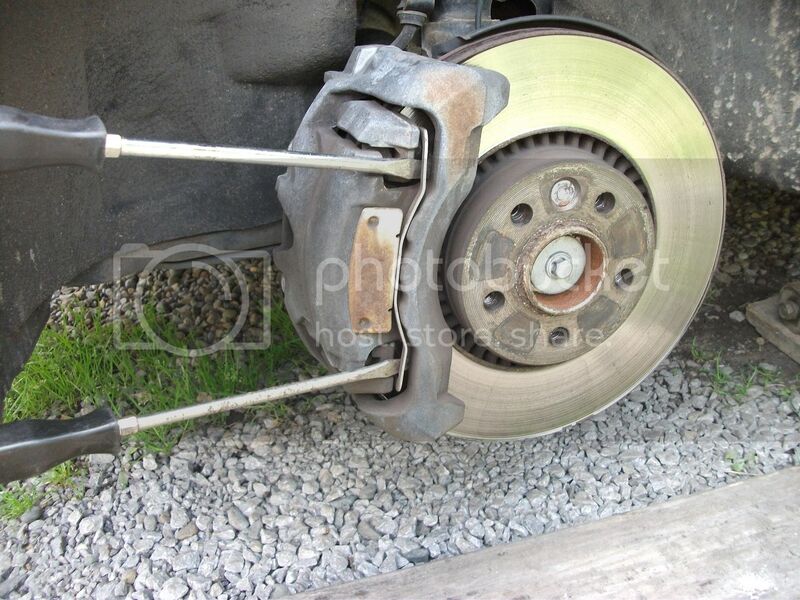 Then you need to replace the caliper spring. Place in at one end and then use a screw driver to lever in the opposite end. 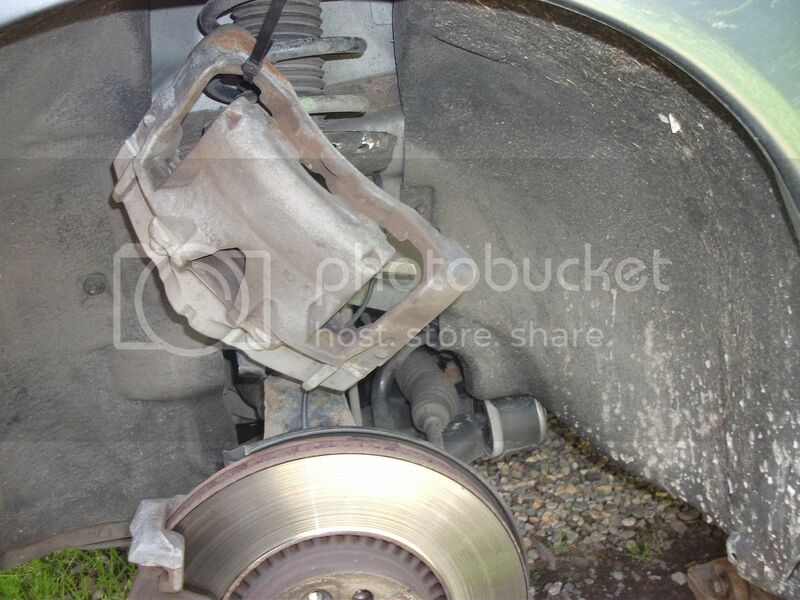 Replace the brake hose in it's clip. Again I have applied Copper Ease to where the wheel sits against the disc. 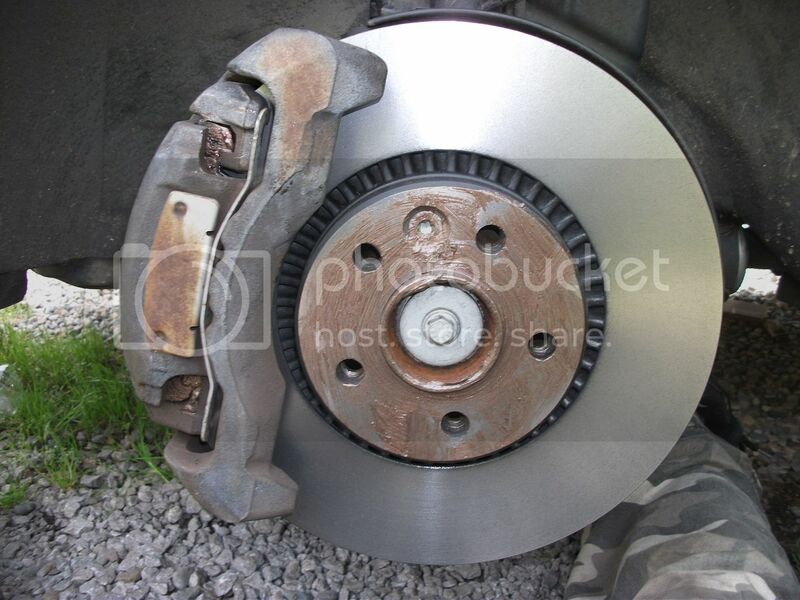 This will help stop the wheel sticking to the disc and make it easier to remove. Hopefully doing this should mean that if you ever get a puncture, changing the wheel is a lot quicker and easier. ( In the past, when changing a flat tyre for a friend, I have had to lie under the car kicking the wheel to get it off because the corrosion was so bad!) NOTE Again make sure to not get any copper ease in the wheel bolt thread as this will mean the bolts aren't correctly torqued. The Wheel bolts require a torque setting of 140Nm and remember to always miss one when going round, ie so your doing opposites. 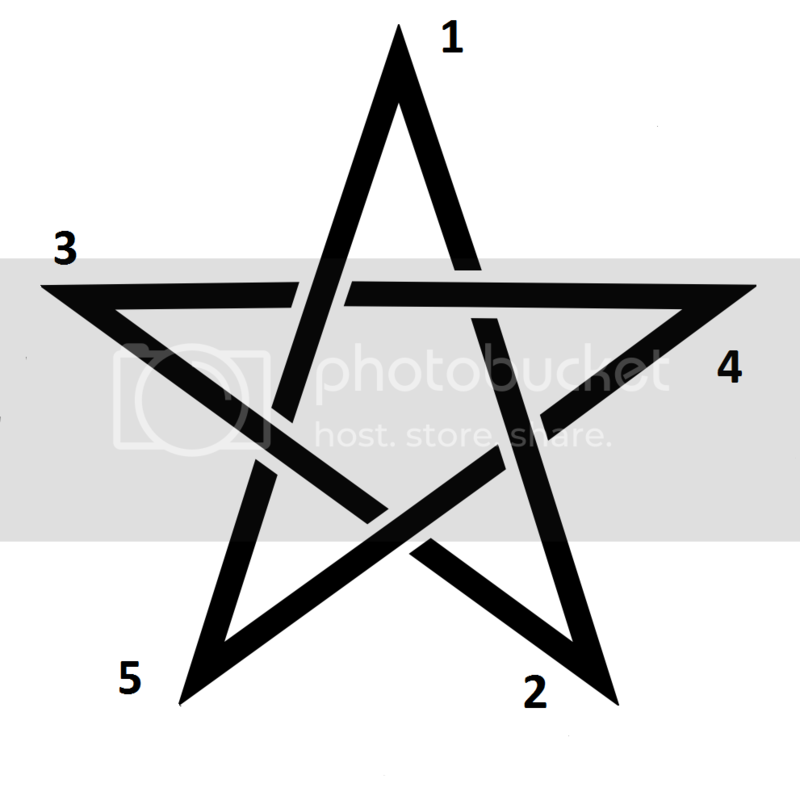 Like following this pattern. Personally I always prefer to do the Locking Nut (where fitted) last so it is strained less. Pump the brakes to get them hard again, and then re check the fluid to make sure the level is correct. You've now finished and can stand back and admire you work! Last edited by tt82; Feb 2nd, 2016 at 12:26. Reason: Replacing lost photo's!